Found an old piece I wrote five years ago (2008) while clearing out my laptop this week. Reading this again today, I feel like I was such an angsty child/teen/adult (okay still am). Also, having lived in Perth for two years now and having never had to fill in my “Race”, “Ethnicity”, “Dialect”, or “Religion” on any document has been a much appreciated breath of fresh air. 2013 reflections in italics. 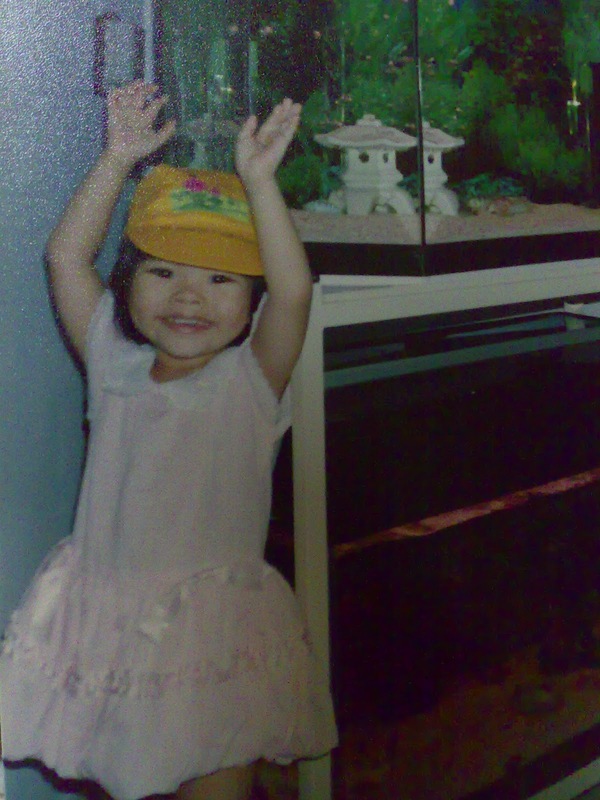 Me (age 2ish) with the fish tanks at home. I gave all the fish names. Most Decembers, I go Christmas caroling with a group of youths and young adults from my church. Although we are usually invited into the homes of other fellow Christians, non-Christians make up the bulk of our audience from time to time. While both my parents are also Christians, Christmas (the religious remembrance, not the commercialized festival) can be especially confusing for me because my father is a Malay and a former Muslim, and my mother, a Chinese. 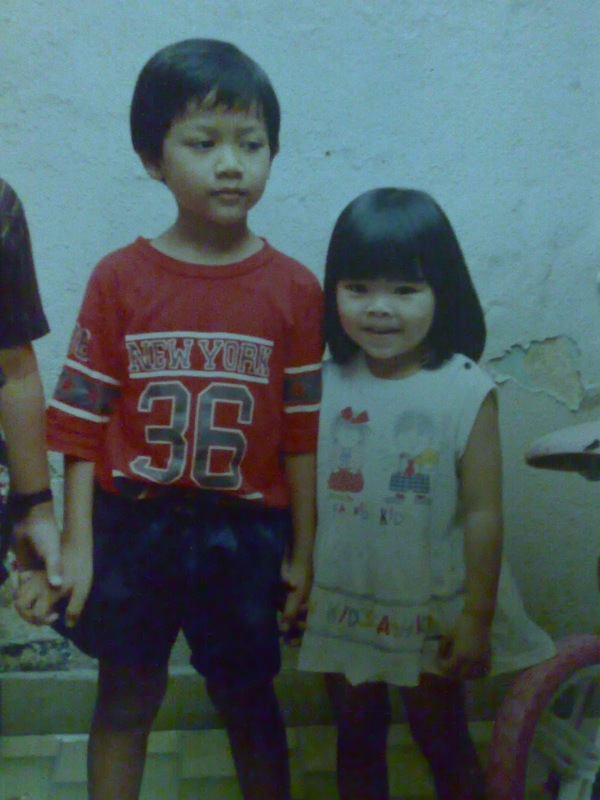 Me (Age 2ish) with my Malay cousin, Azri. I look no different from the rest of the caroling group, comprising mostly Chinese, and seldom feel different from them either. It is only when newly-made friends discover my interesting heritage that I feel unnecessary attention on myself. Somehow, celebrating Christmas, Lunar New Year as well as Hari Raya Haji and Puasa with my relatives appears unusually phenomenal to my friends. While some are envious of how diverse my celebratory public holidays are, others just lament that I must be one very busy child. And of course, every Deepavali, numerous bored friends try to persuade me into marrying an Indian man in a bid to transform me into Singapore’s living Racial Harmony Day mascot. 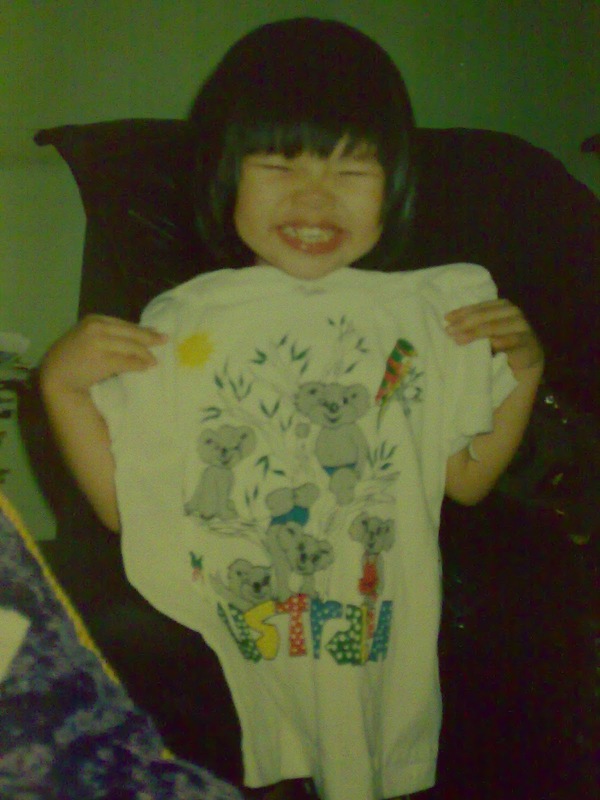 Me (age 3ish) with an Australia koala tee-shirt. Also, that was the ‘Chinese bob hair’ people said I had. There was one year where a group of darker skinned people, and thus presumably Malays, stopped to listen to us while we were caroling outdoors. My church elders introduced these ‘non-Chinese’ to my father and I, perhaps to make them feel more comfortable with ‘their own kind’. Evidently, they appeared more relaxed when my father started conversing with them in fluent Malay. Still, they found it rather unconvincing that I was Malay, at least on paper, because I was embarrassingly trying to communicate with what little Malay language I knew, and I had fair-skin. My (5th?) 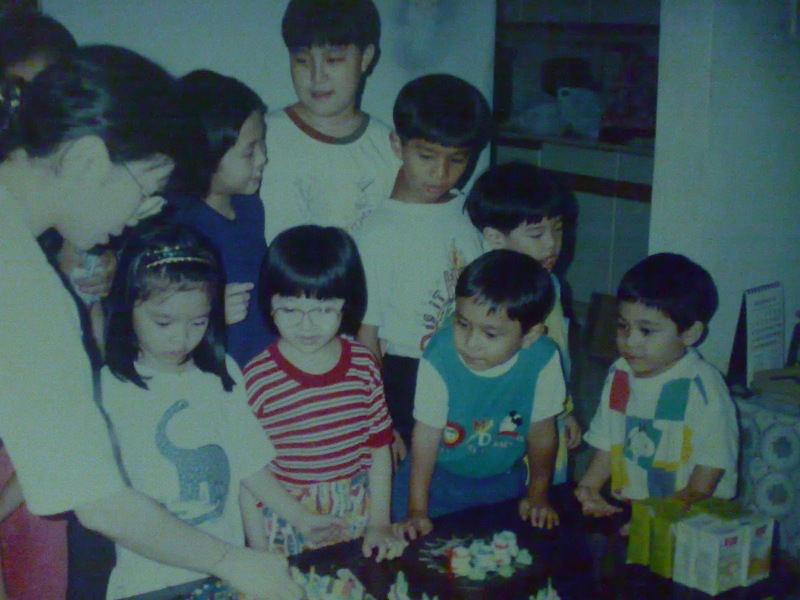 birthday with my Chinese and Malay cousins and Eurasian (Chinese, French, Vietnamese) god-brothers. This is my miniature identity crisis – I do not feel any less Christian than the others at church just because I have a Malay surname, yet at the same time, that surname is the only indication of my “race” because I look more Chinese. But then again, as a child and then a teen my Chinese relatives and friends seemed to feel the need to explain “their” numerous customs and traditions to me again and again because I was/am “not pure Chinese”. My first name only adds confusion to my heritage because it does not reflect any race either (Crystals are sparkly and presumably feminine and I am neither sparkly nor very feminine). My aunts used to cook me instant noodles during Hari Raya while my cousins had Ketupat. My grandmother used to cook me an assortment of oily foods during Lunar New Year while my cousins had Yu Sheng. It seemed as though everyone was concerned with how I was coping with my “diverse” (or confused?) background – everyone except me… probably a very oblivious (or very confident?) child. 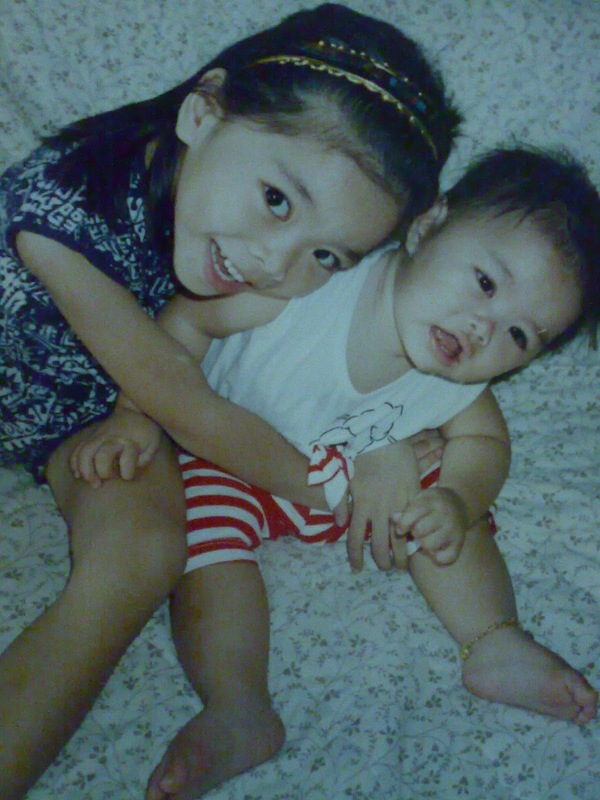 Age 5ish with my chubbs baby sister who now shares all these heritage woes/privileges. Also, most Singaporeans who hear about my heritage always immediately follow up by saying it’s no wonder I have ‘Malay eyes and cheekbones’. I still don’t know what that means. I must admit though, that being so ‘culturally-diluted’ can be very interesting. I read Higher Chinese in a Special Assistance Programme Secondary School and (I think) most students knew me by name because I was the only Malay student there for three years (a Chindian, that is Chinese-Indian, girl joined the school when I was in my fourth year). I got sent to compete in all of my school’s English speech competitions and debates because my English was apparently “very well spoken” and I some times wondered if that literally translated to “not Chinese-accented”. 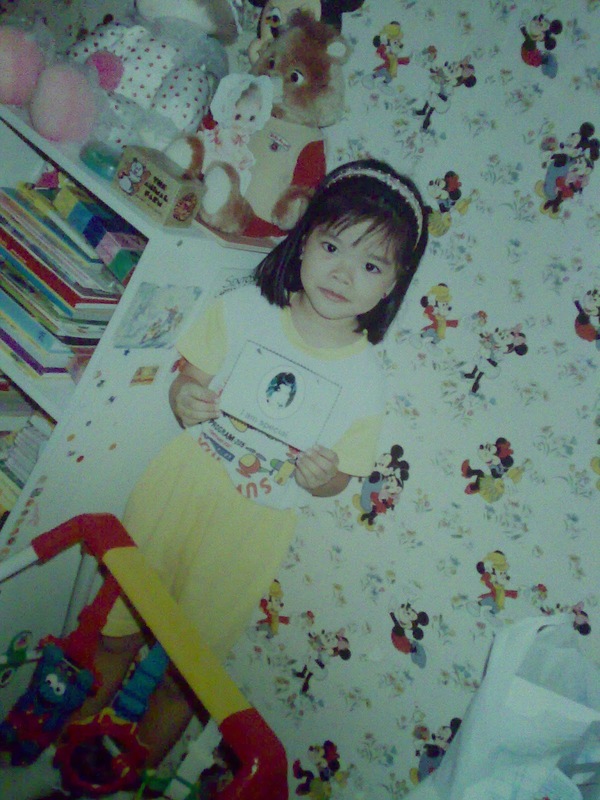 I represented my class in all of our drama competitions because I could put on a convincing “minah Malay-accent”. I was the Chinese department’s model student because my grades were surprisingly good for someone who was “fei zu hua yu” which I think meant that I was not from a ‘Chinese culture/ethnicity’. Secondary School was a circus. Age 6ish holding a card I made at Sunday School that says ‘I am special’. We all are! I suppose over the years, my identity has become less and less of what I feel I am, but more of what others imagine me to be. I’m not “really” Malay because I neither look like one nor speak like one nor practise Islam, they tell me. They also say I am not “really” Chinese because officious documents do not claim so, and my proficiency in Mandarin – though superbly excellent on paper and in theory because I studied so hard! – is dubious because my accent is not accurate. But then again, after twenty years of such emotional commotion, I guess I am already growing used to feeling different. And it doesn’t really matter to me! Next Post Trove: revamped and revived.